Nikola Tesla's New York laboratory is to become a museum dedicated to the pioneering engineer. Indiegogo started as a way of crowdfunding film projects, but since 2009 - in the words of founder Slava Rubin - "we opened up to everything. Anything cause, anything creative, anything entrepreneurial." Apparently this also includes museums; Operation: Let's Build a Goddamn Tesla Museum started up on the 15th of this month with a goal of $850,000, the money going to purchase Tesla's old lab Wardenclyffe at Shoreham, New York. The campaign is spearheaded by The Oatmeal, which got involved when the Tesla Science Center asked Matthew Inman for help. As of today, and with 38 days still to go on the campaign, the total stands at $967,456. This - together with a matching grant of $850,000 from New York State - gives the Tesla Science Center, a non-profit based at Wardenclyffe, enough funds to buy the site. However more money is always useful, particularly since the site itself could do with some renovation. "Even if we raise the full amount and end up with $1.7 million," says campaign organizer The Oatmeal, "this isn't enough to build an actual museum / science center. But it will effectively put the property into the right hands so it can eventually be renovated into something fitting for one of the greatest inventors of our time." 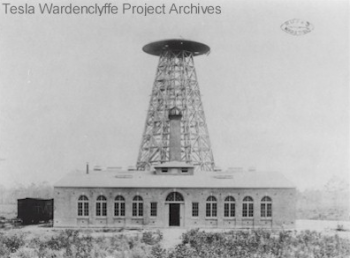 Wardenclyffe is where Tesla intended to build his Tower, a transmitter which would transmit energy wirelessly. He never had enough money to complete the project, and the tower itself was blown up during the Great War when the US government became concerned it might be used by the Kaiser's spies as a communications device, or by U-boats as a visible landmark. However the lab itself survived, and for the last fifteen years the Tesla Science Center has been trying to turn it into a museum. Fears that a developer was about to buy the site prompted The Oatmeal to get involved, and the rest is Indiegogo history.